Accepta 2594 is a high performance silicone based antifoam and defoamer scientifically formulated for the prevention and control of foam in food industry and other process applications. 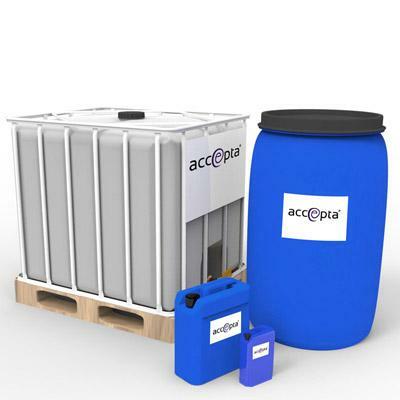 Accepta 2594 is a highly versatile silicone antifoam designed specifically to be used in secondary treatment or the final effluent in wastewater treatment plants. Containing polymethyl siloxane, Accepta 2594 can also used as an efficient defoamer and offers superior results over a broad pH range. Accepta 2594 is NOT suitable for the treatment of potable drinking water. The general dose rate for Accepta 2594 is between 20 – 500 ppm. However, the most efficient dose rate will depend on the source of the foam, the level of foam and the degree of control required. Accepta technical specialists can advise further on the ideal dosage levels and testing regimes for individual systems. Note – Do NOT use Accepta 2594 for potable drinking water treatment. For further technical assistance concerning Accepta 2594 please contact Accepta.